Breaking News …. 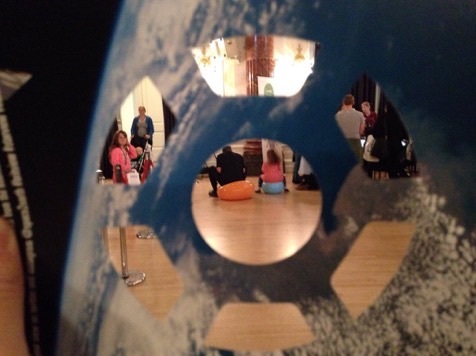 Principia Schools Conferences – Apply Now! 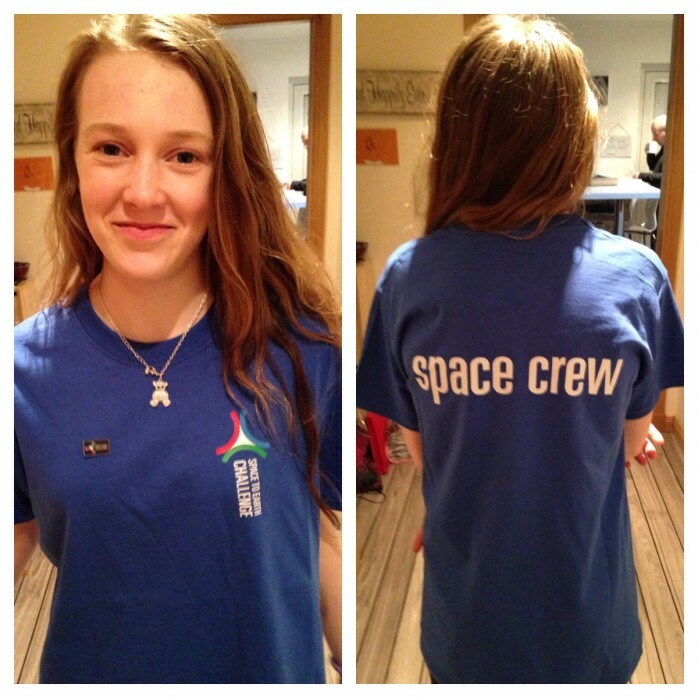 The UK Space Agency is organising two conferences for school pupils in November 2016. The conferences will give young people the opportunity to present their work, linked to Tim Peake’s Principia mission, to leading experts from industry and education. 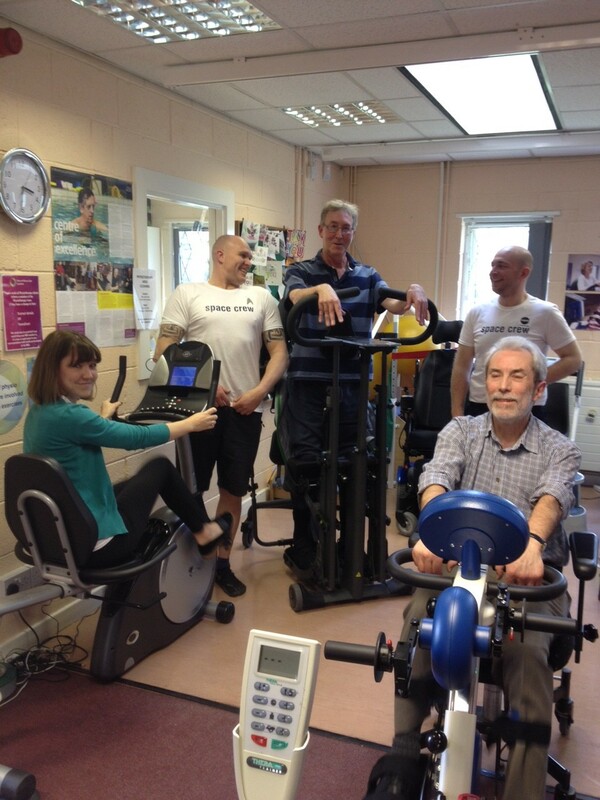 The conferences will be held at the University of Portsmouth on Wednesday 02 November and the University of York on Saturday 05 November. 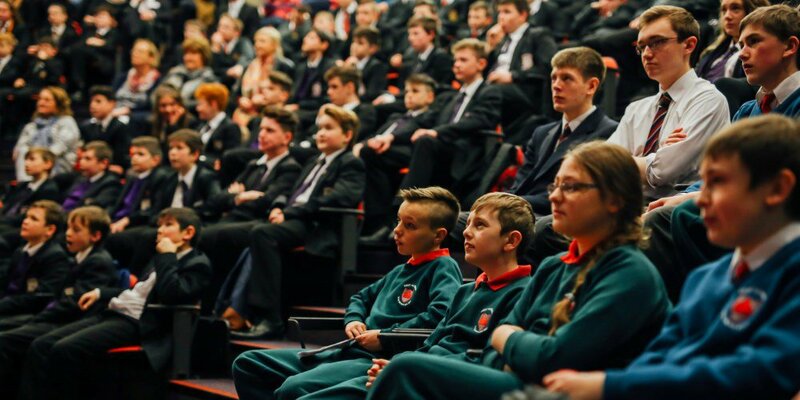 The days will include keynote talks from leading figures, presentations from the students, exhibition of the students’ work and the opportunity to meet and talk to experts from the space industry and the Principia education programmes. Help Find Sam the Space Dog!! 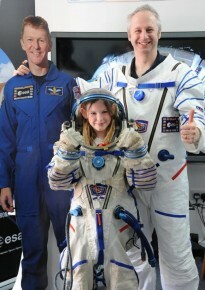 English Lakes’ Mascot Sam travels to space! 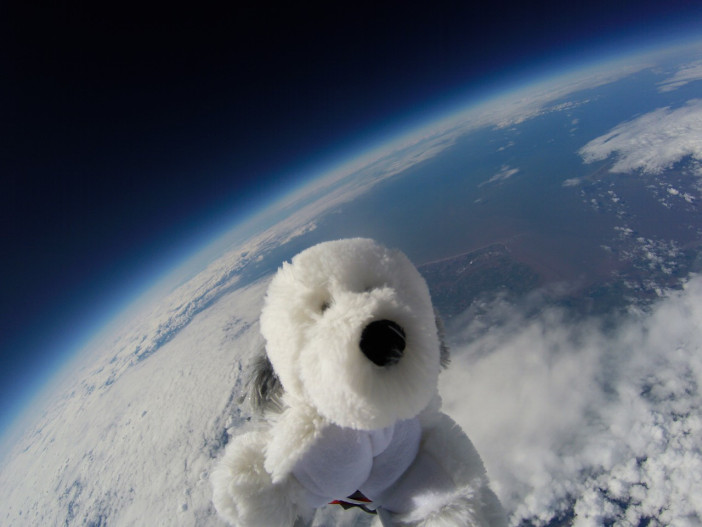 The Midland hotel in Morecambe and SentIntoSpace.com partnered with school children at Morecambe Bay Community Primary School who designed a physics project to use helium balloons, specialised GPS tracking equipment and GoPro action cameras to see if they could send ‘Sam the Dog’ to the edge of space. 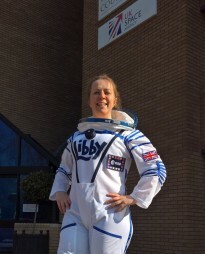 I’m very excited to be able to share the news with you that Susan and I, along with a number of other colleagues from the UK and European Space Agencies, will be running the Virgin Money London Marathon in just over two weeks’ time, alongside Tim who is running the Digital Virgin Money London Marathon on the treadmill at the same time. We are doing this to raise funds for Tim’s chosen charity, The Prince’s Trust, for who he is an ambassador and is supporting from orbit. To add to the challenge and to make the fundraising even meaningful, I will be running the marathon dressed in a replica Sokul Suit. Please don’t feel obliged to sponsor the team, but any support of the team, both on Earth and in space, large or small, would be very warmly received. If you will be on the streets of London on Sunday 24th April (or indeed are also running), please let us know where to look out for you – it is always lovely to see friendly faces on the course. 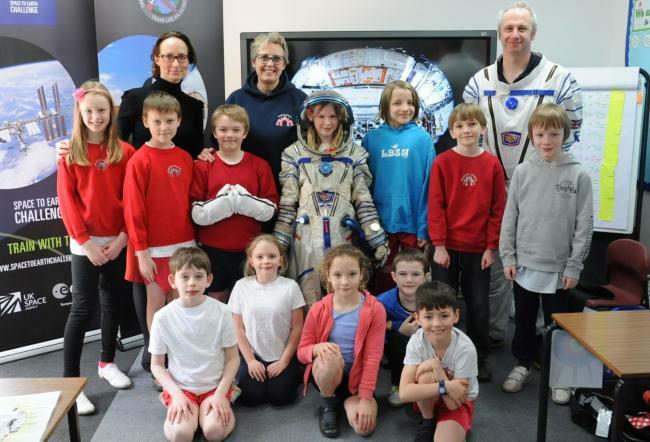 SHOBDON Primary School pupils did not need to leave the classroom to explore outer space when an extra special guest paid them a visit. The children undertook astronaut training while taking part in a “space to earth challenge” and a few youngsters also tried on an authentic “Sokol” space suit. The educational activities were put on when Tony Forsyth, from the UK Space Agency, dropped by to give a progress update on the International Space Station project involving British astronaut Tim Peake. 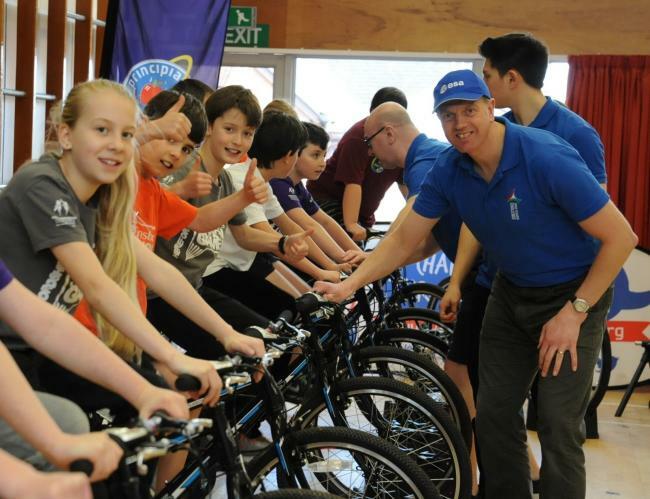 He was joined by Mike Jubb, from the Triathlon Trust, who showed the pupils how astronauts such as Mr Peake and his colleagues remain fit while working in outer space. 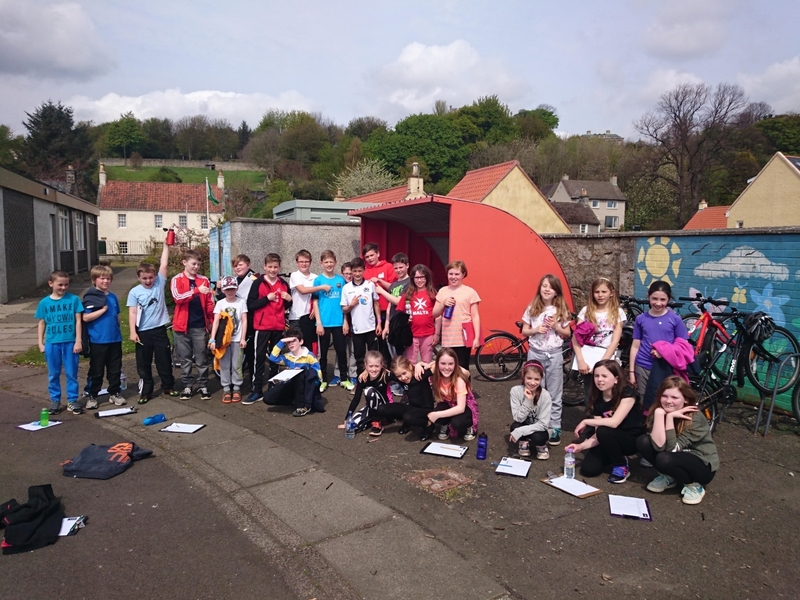 And the Shobdon children imitated the British spaceman’s two-hour workout by creating their own “spaceathlon”, complete with space, sport and science-based activities. My name is Eleanor Smith and I am 13 years old. 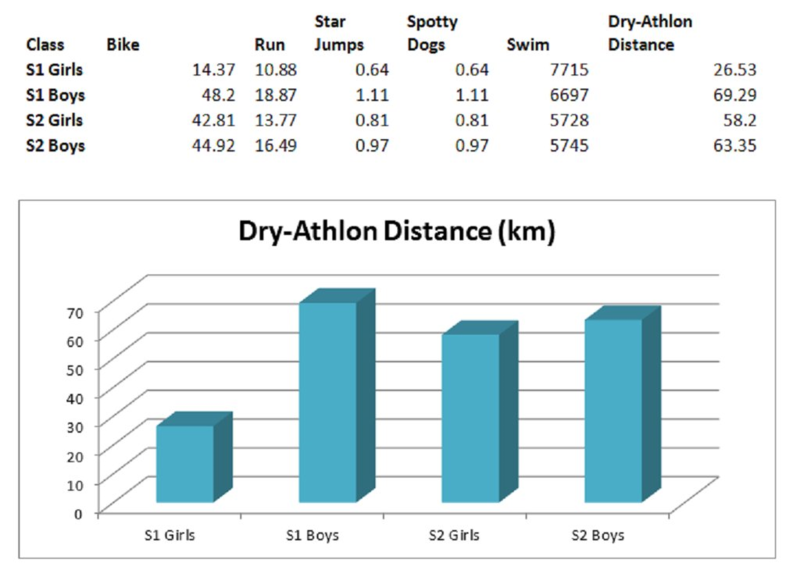 I started training with a local swimming club, Dunfermline Amateur Swimming Club in August 2015. I really enjoy swimming and recently took part in my first competitive gala. In my first race I won a bronze medal, missing out on gold by 0.01s swimming butterfly which is my favourite stroke to swim. Other than swimming I enjoy cycling, music, reading and spending time with my friends. When I’m not at swimming I enjoy taking my dog, Neptune for walks. We live near the Fife Coastal path and have plenty of great places to take him. Neptune is 5 years old and was a rescue puppy. The litter were named after all the planets. Most of them had their names changed but Neptune stuck!! My school choices include Healh & Fitness and Technology subjects which makes me really interested in Tim’s program. At night I sometimes like to sit outside and look at the stars. And when the alerts come through on the app I look out for the ISS passing overhead. We get a great view here!! I would really like to get to 400km before Tim gets back but for now I am aiming for 100km and will work from there.